Fast and Elegant? 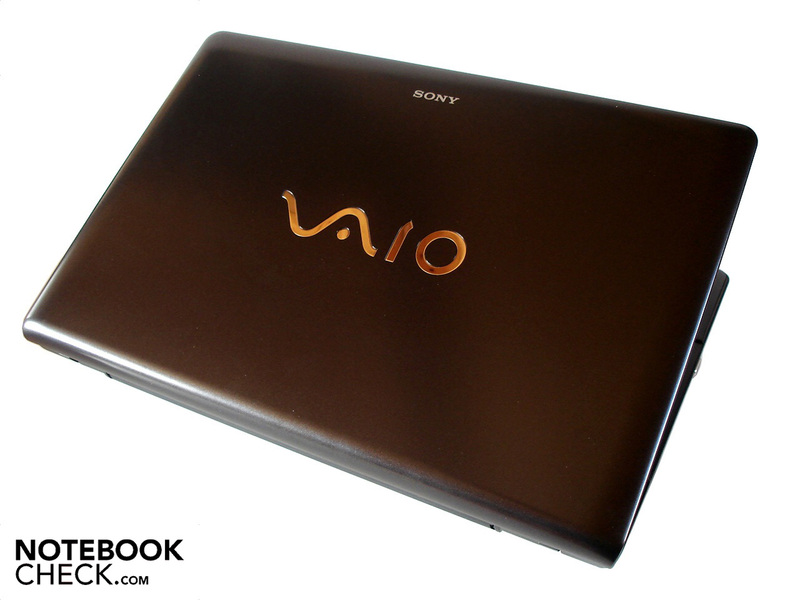 Sony's Vaio notebooks have always been known for their elegant design. 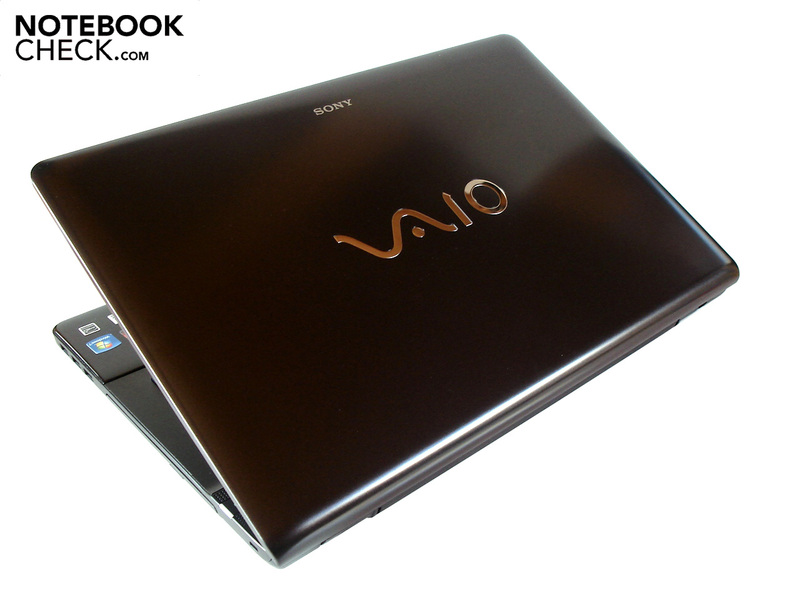 In order to also chalk up under its hood, Sony has given the 17 inch Vaio VPC-EF2S1E/BI a Radeon HD 5650 and a Phenom II X3 P820. Sony provides affordable mainstream notebooks with the E series. They are principally supposed to win over multimedia fans with their balanced component selection. 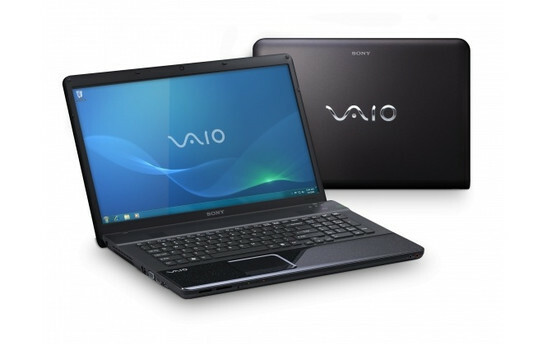 We've taken hold of the 17 inch Vaio VPC-EF21E, which is available in black and white. It's also already going over the counter for less than 800 euro. A triple-core processor from AMD, the Phenom II X3 P820, does its job as the processor. 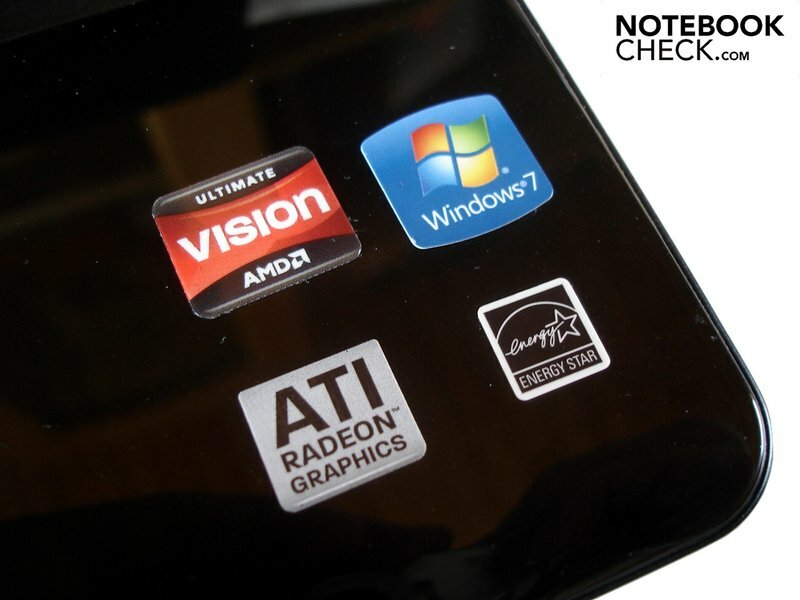 An ATI Mobility Radeon HD 5650, a DirectX11 capable midrange model, takes care of graphics calculations. A four GB DDR3 RAM and a 500 GB sized HDD with 5400 rpm also belong to the configuration. Sony has waived on a Blu-Ray drive, despite a good resolution of 1600x900. You have to be content with a standard DVD burner. The customer receives the standard fare in terms of operating system. Windows 7 Home Premium 64 bit is used. 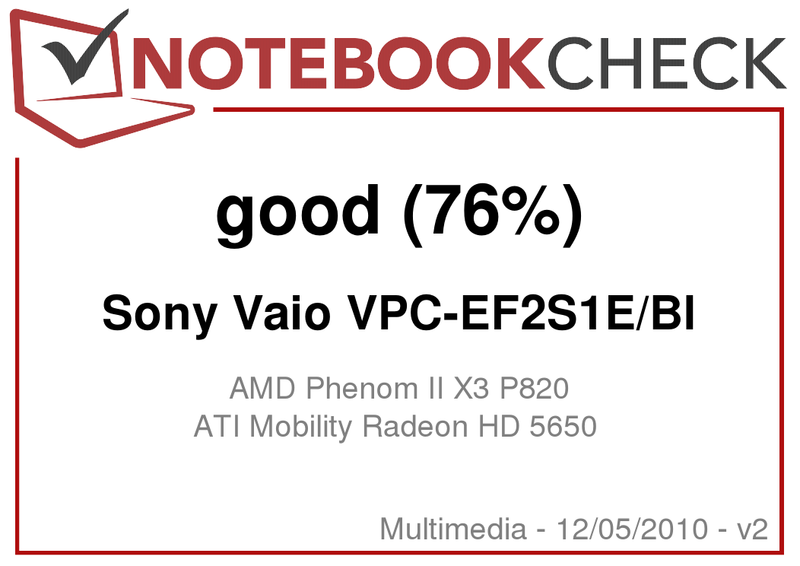 Note: We have already had two other E series models in review: The 15 inch Vaio VPC-EB1S1E with a Core i5-430M and Radeon HD 5650, and the 17 inch Vaio VPC-EC1M1E with a Core i3-330M and Radeon HD 5470. 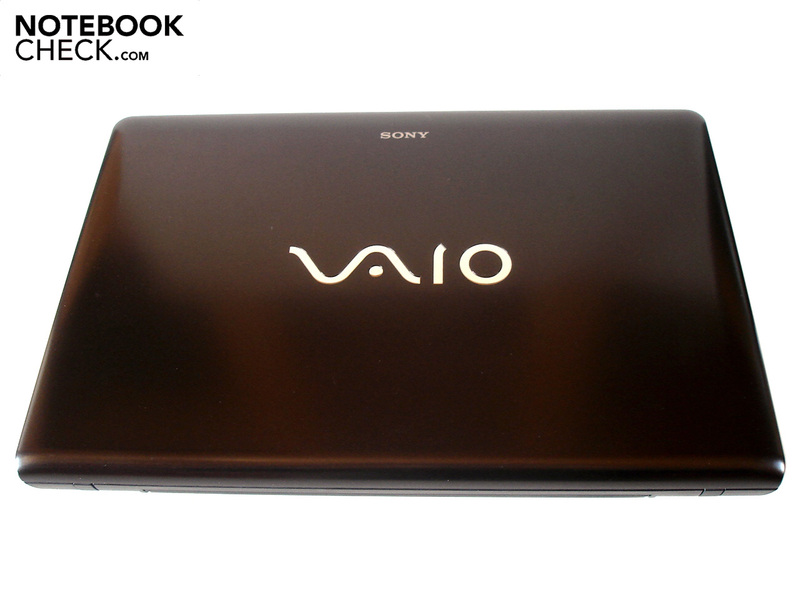 The Vaio VPC-EF2S1E/BI can be called a good-looker. Sony has mainly used matt black surfaces that provide an elegant appearance together with the stylish design. Merely the high-gloss wrist-rest doesn't really look high-end. Moreover, it attracts negative attention with its high smudging susceptibility. At least the base unit doesn't have to reap too much criticism in terms of stability. Both the bottom, as well as the upper side is fairly stable, with exception of the area around the optical drive. In return, the notebook lid proves to be extremely unstable. Visible image mistakes can already be provoked with slight pressure on the display bezel. In opposition, the workmanship is high-end. We can't see any flaws even when looking closer. The hinges do their work reliably. The display is kept well in position under vibrations. Unfortunately, the hinges are pulled very tight so that the base unit teeters considerably when opened. A weight of about three kilograms and a size of 409 x274 x 39 mm are typical for a 17 inch device. Carrying the notebook around is thus possible. The connectivity is overall good. Sony has accommodated the most important connections on the left side. There, a RJ-45 gigabit LAN port, a VGA and HDMI jack and a USB 2.0 port are found besides the power socket and vent. 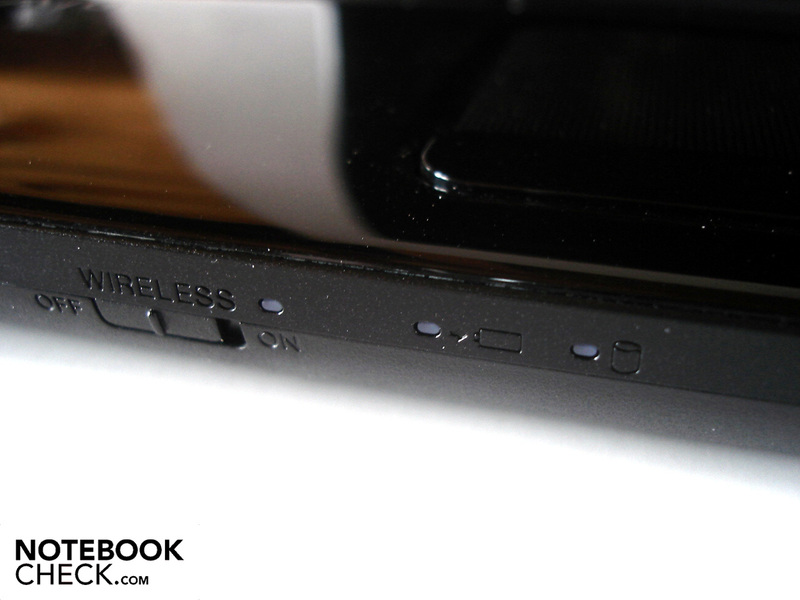 In return, there are two cardreaders (one for SD cards and one for Sony's formats), a handy WLAN/Bluetooth slider and two audio sockets (microphone and headphone) on the front. 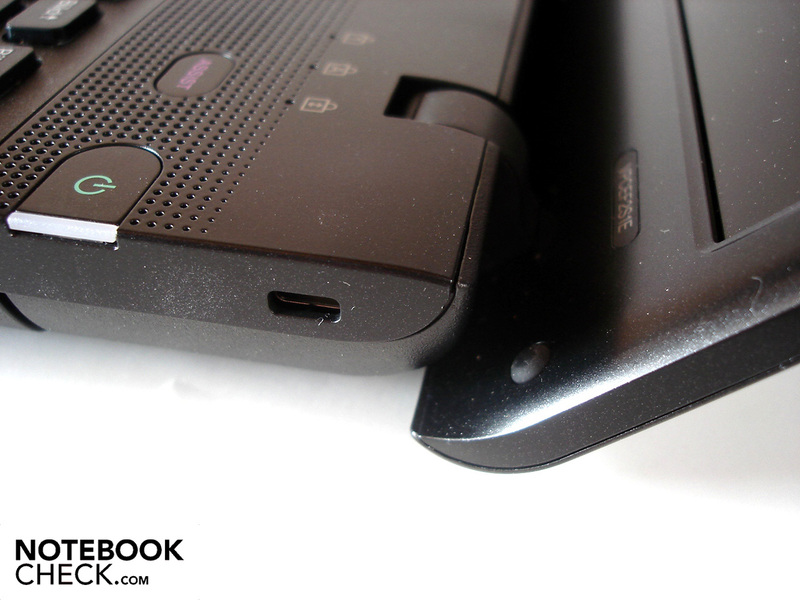 Finally, the right side is equipped with a total of three USB 2.0 ports, a DVD burner and a Kensington Lock. 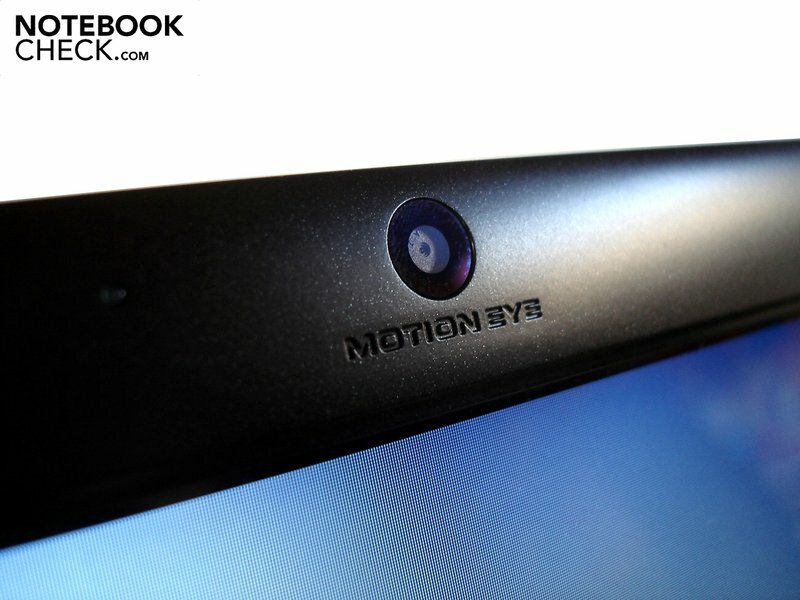 A webcam (only 0.3 megapixels) and an embedded microphone finish off the connectivity bundle. 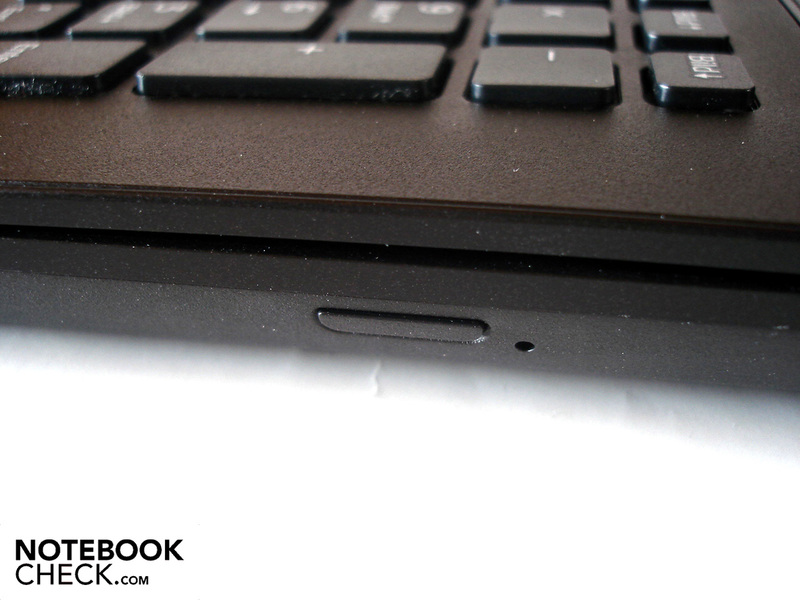 Sony has unfortunately left out an ExpressCard slot, as well as an eSATA, respectively Firewire port. 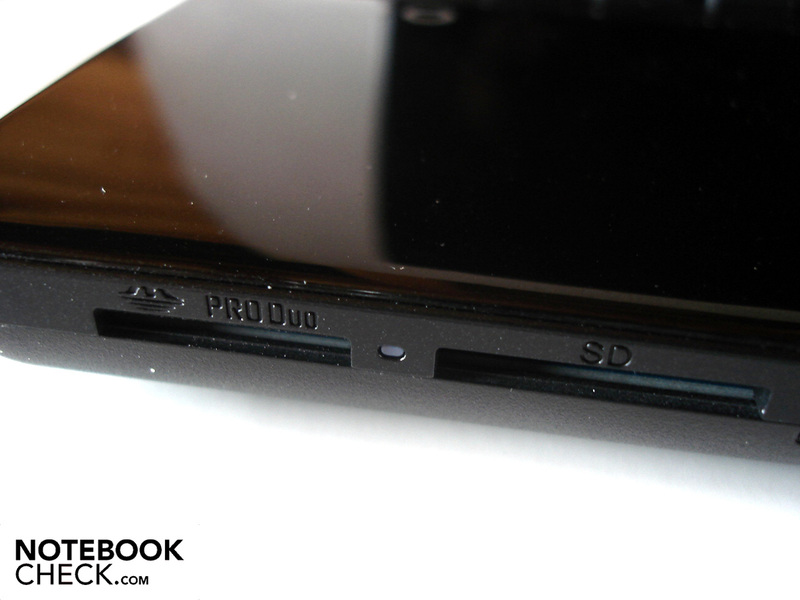 The port placement didn't appeal to us at all because Sony has installed most interfaces on the side's front areas. This could quickly lead to space problems, for example, when a mouse is used and many cables are connected. The scope of delivery turns out rather poor. Apart from a (pleasantly small) 90 watt adapter and a few information booklets, Sony has abstained from including anything else. In return, the manufacturer has totally exaggerated in terms of system installation. Thus, the Vaio VPC-EF2S1E/BI is seized by vast amounts of software in its state of delivery. The majority is very superfluous and clearly has a serious affect on the operating system's boot and reaction speed. 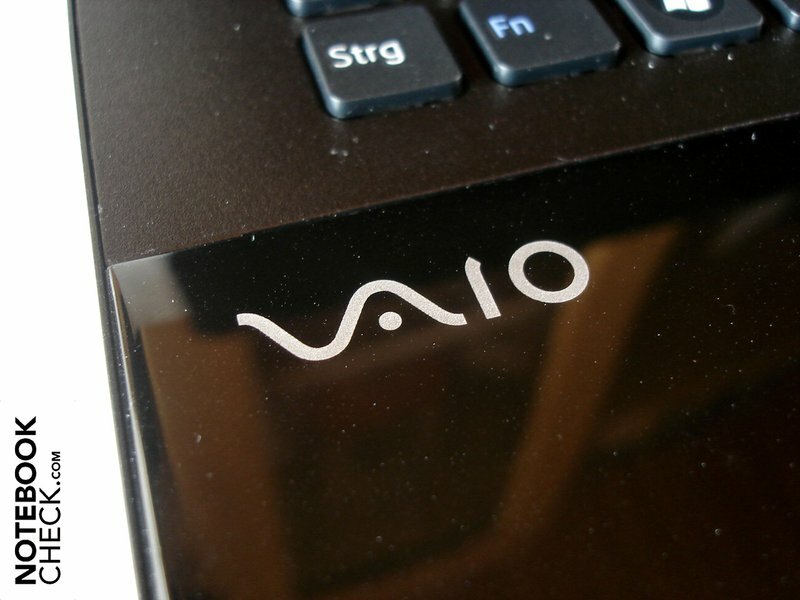 For example, already 20 programs have the name "Vaio..." (see screenshot). So, in order not to waste performance unnecessarily, you should dedicate yourself to an extensive removal immediately after initiation. The keyboard left a very positive impression in the test. The detached and adequately sized keys (15x15 mm) have a good (even if not perfect) pressure point, respectively stroke, which should even satisfy prolific typists. The feasible layout has to be listed as a further bonus. We coped easily after only a short accommodation period. Merely the fairly loud typing noise appeared a bit clattery. The touchpad's size of 80 x 50 mm can't quite keep up with the keyboard, in our opinion. Especially the perfect precision and the, due to it being slightly submerged, good orientation have to be named on the positive side. The corrugated surface is contrarily a double-edged sword. While the knobby texture provides a good feedback, a rather unpleasant feel develops after a certain time. The touchpad is just still okay in terms of gliding traits. 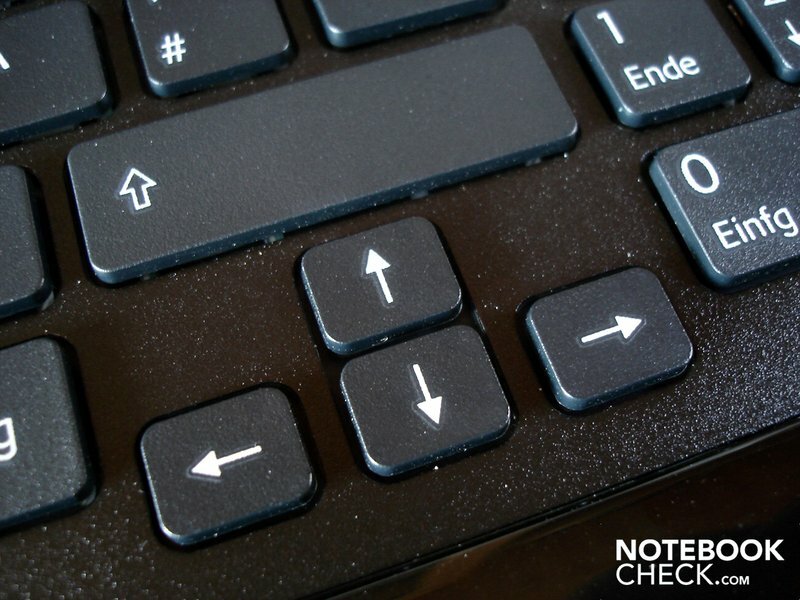 However, both touchpad keys make a cheap impression in terms of acoustics and response. Now to the display. 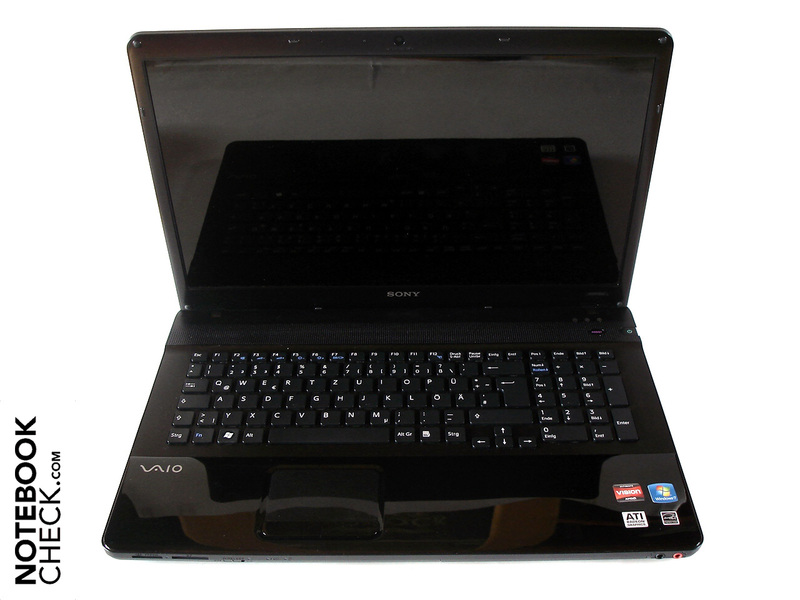 The Vaio VPC-EF2S1E/BI's 17.3 inch display has a screen diagonal of 43.80 centimeters and an aspect ratio of (meanwhile standard) 16:9. The resolution of 1600x900 presents a good compromise of screen surface and processing speed (3D applications). In opposition to the typical 15 inch resolution of 1366x768, managing several windows is much easier. 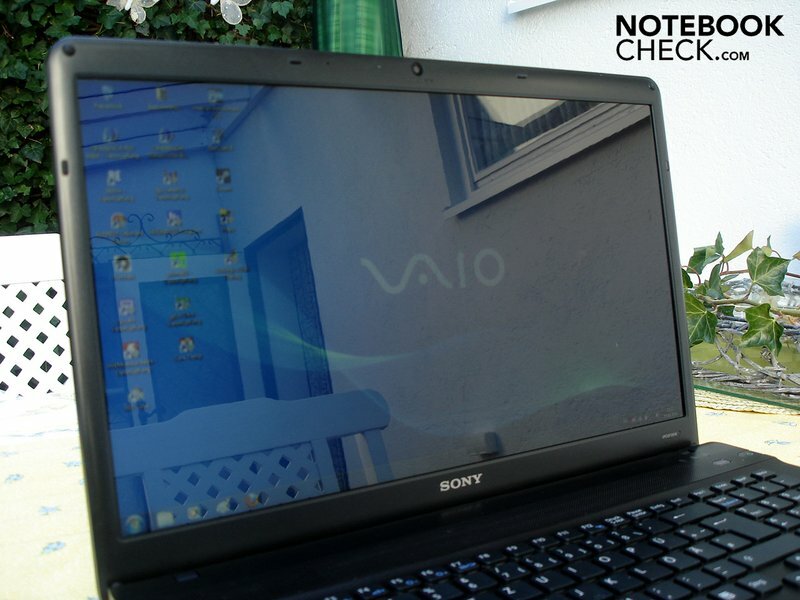 As unfortunately common for most current multimedia notebooks, the Vaio VPC-EF2S1E/BI (CPT1F42)'s screen can only serve with a moderate image quality. Starting with the brightness, which is located at a rather modest level, with an average of 164.3 cd/m2. 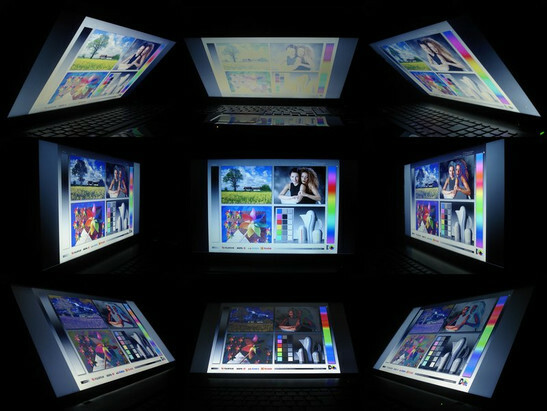 This luminance may still be sufficient for office and internet applications, but you'll be wishing for a higher luminosity for movies or games, at latest. The black value of 0.76 cd/m2 is also everything but perfect. Dark image contents look extremely gray. The colors lack intensity. Overall a very meager contrast of 220:1 is the result. In comparison: High-quality screens, such as the Hannstar HSD173PUW1, often achieve a contrast of more than 1000:1 (e.g. Asus G73 & Deviltech Fragbook DTX). Another flaw is the high vulnerability for reflections. Disagreeable reflections even turn up frequently indoors due to the high-gloss display surface. Thus, occasionally there is hardly anything to be seen on the display in bright daylight outdoors. 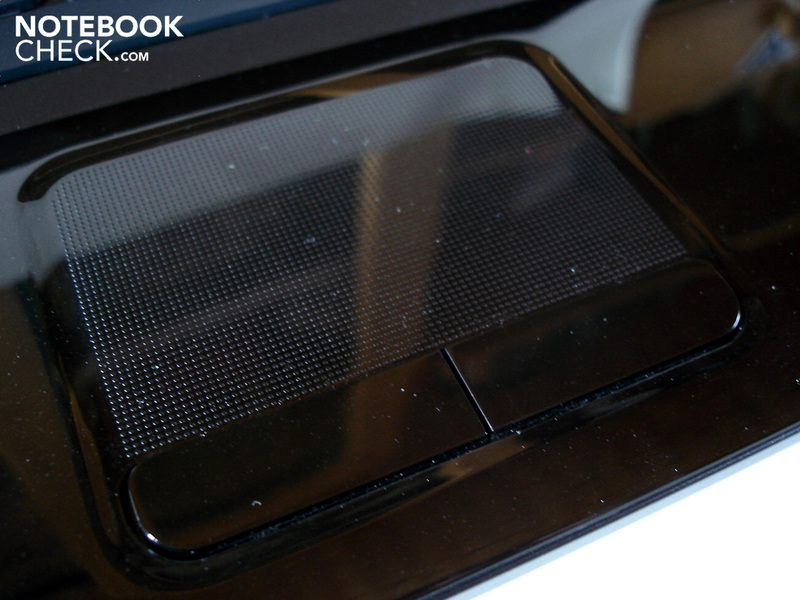 Therefore, if you are on the go a lot, you should turn to a device with a matt display surface (e.g. Acer TravelMate 7740G). Another possibility would be to use an anti-reflection foil. Additionally, the viewing angles are in need of improvement. Already the slightest deviation on both the horizontal, and in particular, the vertical plane suffices to cause intense color and brightness falsifications. Thus, a valued movie session in front of the notebook with friends is hardly possible. A frequent adjusting is necessary even if only one person is in front of the screen. At first sight, AMD's Phenom II X3 P 820 might look very strong. Three CPU cores that are clocked slightly higher than Intel's fast quad-core, Core i7-720QM, with 1.80 GHz, speak for an over average good performance. However, various limitations become obvious upon closer examination. Thus, the L2 cache is measured extremely tight with 1.5 MB. An L3 cache has been left out completely in opposition to the latest Intel competition. Moreover, AMD has omitted intelligent, performance-enhancing features, such as Intel offers them, i.e. Turbo Boost (automatic overclocking) or hyper-threading (simulation of additional cores). The Phenom II X3 P820's biggest advantage is the relatively low power consumption of 25 watts. 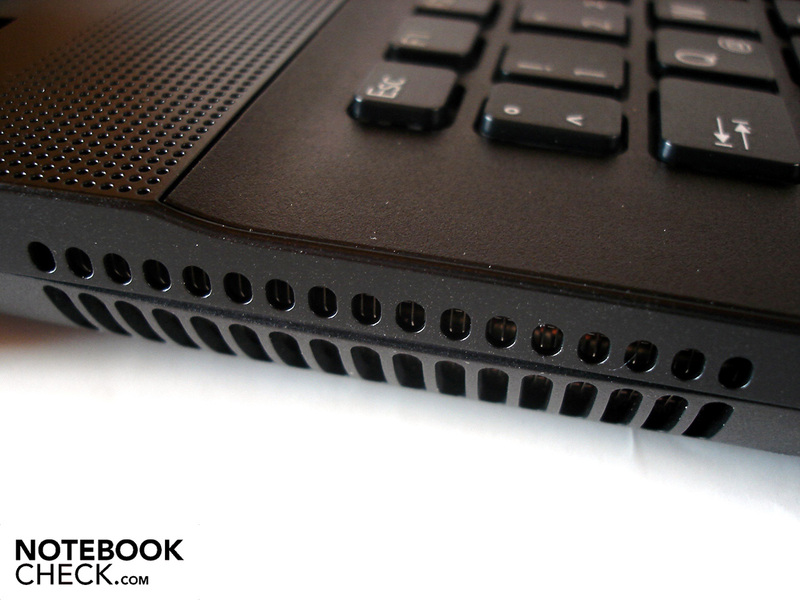 Comparable Intel processors, such as the Core i5-430M, treat themselves to much more power with up to 35 watts (incl. GFX). A midrange model from ATI is used as the graphics card. The DirectX capable Mobility Radeon HD 5650 has 400 unified shaders, 627 million transistors and a 1024 MB sized DDR3 memory, which clocks with 800 MHz. Unfortunately, the video memory is only tethered to 128 bits, which often turns out to be a bottleneck in higher resolutions. To top it off, Sony doesn't allow the HD 5650's core to run in the usual standard clock rate. The user has to be satisfied with 450 MHz instead of 550 MHz. We have taken a closer look to what extent this fact affects the performance negatively in the gaming benchmarks. Apart from that, the Radeon HD 5650 has a maximum power consumption of 19 watts. This rate is more than acceptable in view of the given performance. We have selected the popular Core i5-430M, built into numerous, similarly equipped notebooks, for comparison of application benchmarks. The Phenom II X3 P820 already doesn't stand a chance against the efficient Intel architecture in Cinebench R10's single-core rendering. The Core i5-430M can set itself apart from the Phenom II X3 P820 due to the higher clock rate and Turbo Boost function with 3374 to 1964 points. That is a remarkable 72%. The distance narrows in multi-core rendering. The Core i5-430M still calculates 46% faster with 7619 to 5217 points. Thus, as soon as computing intensive applications are executed, the AMD processor is clearly defeated by the current Intel brigade. However, the Phenom X3 P820 copes well in less demanding applications scenarios, such as internet up to (HD) movie rendering. The Vaio VPC-EF2S1E/BI gives a good presentation in the graphic benchmarks. For example, the 17 incher can claim an acceptable score of 2906 in 3DMark Vantage. This result places the notebook between Samsung's R590 (Core i5-450M & GeForce GT 330M) and Acer's Aspire 5745PG (Core i5-460M & GeForce GT 420M), which achieve 2685, respectively 2991 points. The hard disk configuration doesn't reveal any big surprises. Sony has opted for a 500 GB sized HDD from Toshiba (MK5065GSX), which runs with 5400 rpm. We could measure an average transfer rate of 65.4 MB/s with the HDTune tool. The access rate is within the usual range, with 17.0 ms. Sony has waived on an extensive partitioning. The only available partition has 455 GB. The Vaio VPC-EF2S1E/BI doesn't give any reason for reproach in terms of latencies. The latencies always stay in an uncritical field below 500µs, even with enabled WLAN/Bluetooth or use of keyboard and touchpad. Audio and video streaming should thus be possible without interruptions. 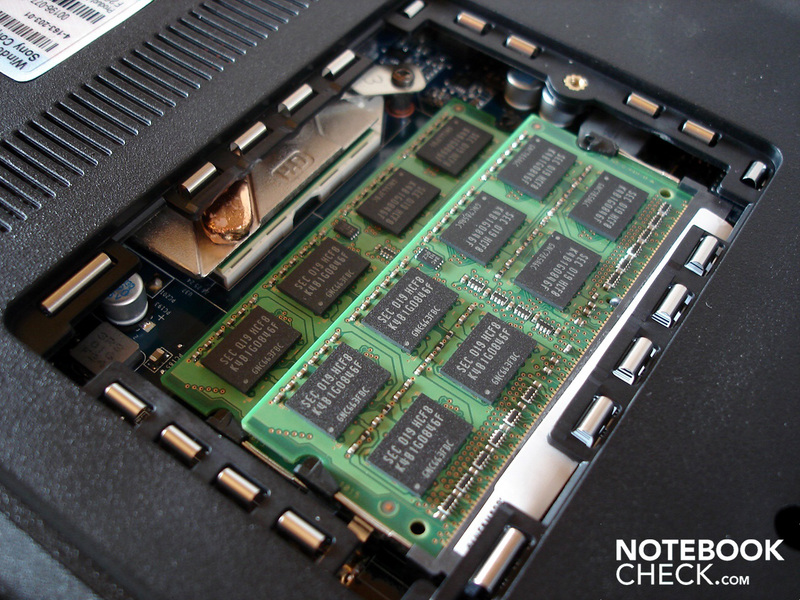 We checked the Vaio VPC-EF2S1E/BI's gaming performance with two current tracks. 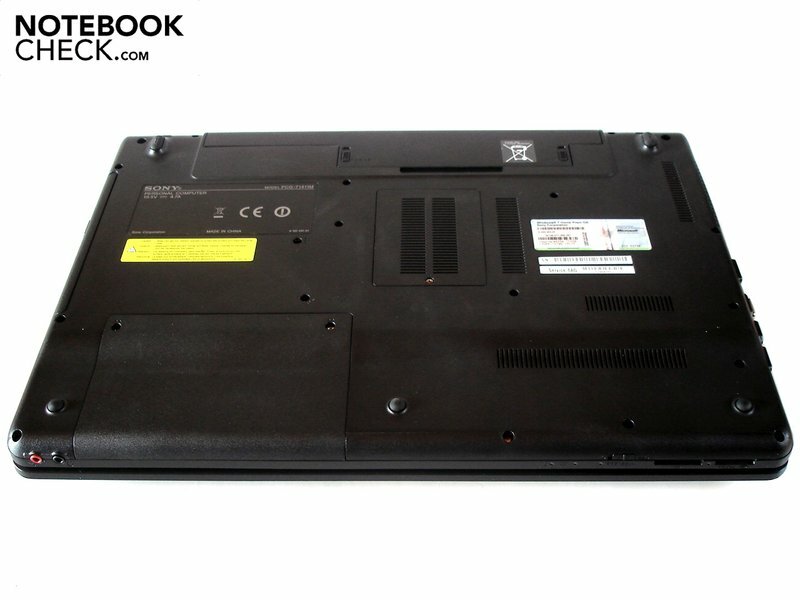 The notebook had to face the 17 inch Acer TravelMate 7740G. 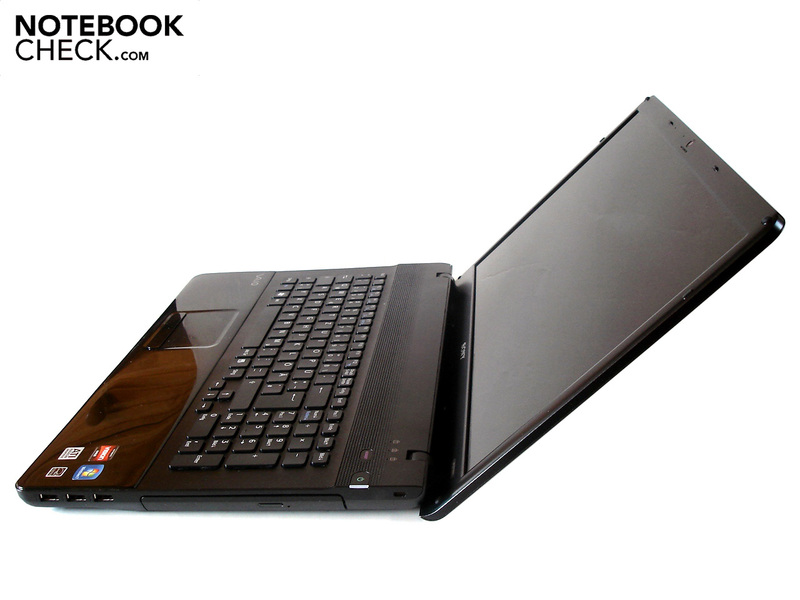 It is equipped with a Core i5-430M and a higher clocked Radeon HD 5650. 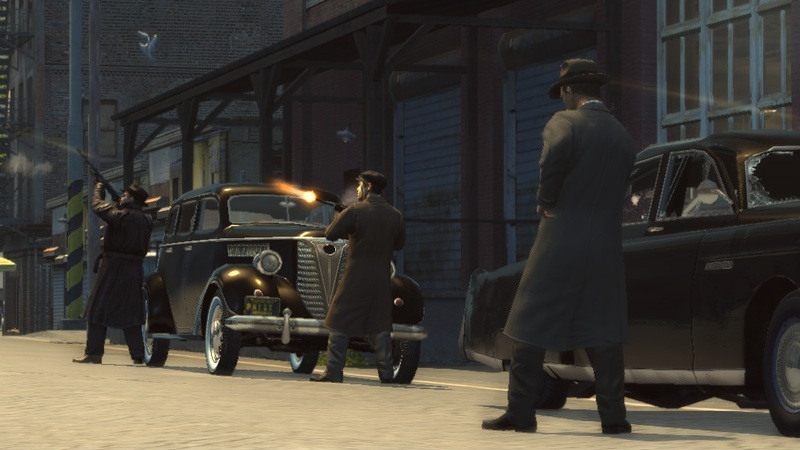 Fans of extensive open world games won't necessarily be completely satisfied with Mafia 2. Nevertheless, if you like jam-packed stories with many unexpected turns, you'll likely enjoy the gangster epic. The Vaio VPC-EF2S1E/BI has to affirm itself in Mafia 2's incorporated benchmark. The notebook is still strong enough to provide a smooth frame rate of 33.6 fps in the resolution of 1024x768 with medium details and 8x AF (anisotropic filtering). High details and 16x AF overtax the Phenom II X3 P820 and Radeon HD 5650 in a resolution of 1366x768, though. 26.4 fps aren't enough for a smooth game play. The Acer TravelMate 7740G manages these settings a lot better. 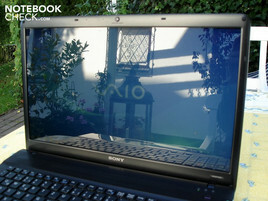 It outshines the Sony notebook by a whole 39% with 36.8 fps. 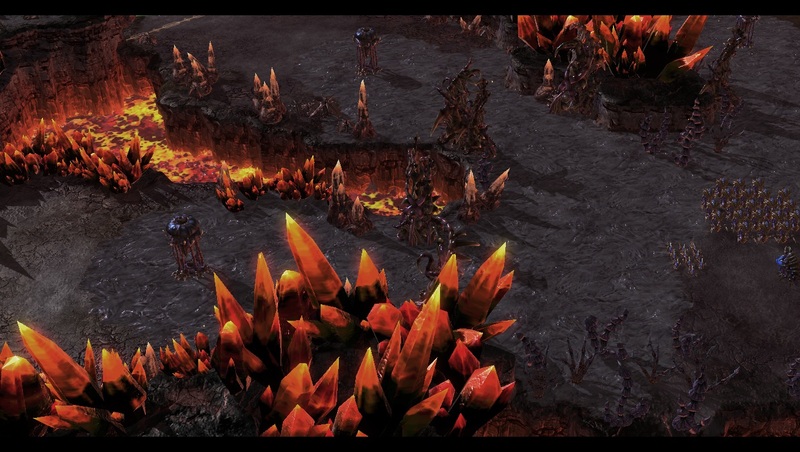 Starcraft 2 doesn't reinvent real-time strategy, but it refines the dusty genre to a previously unimagined extent. 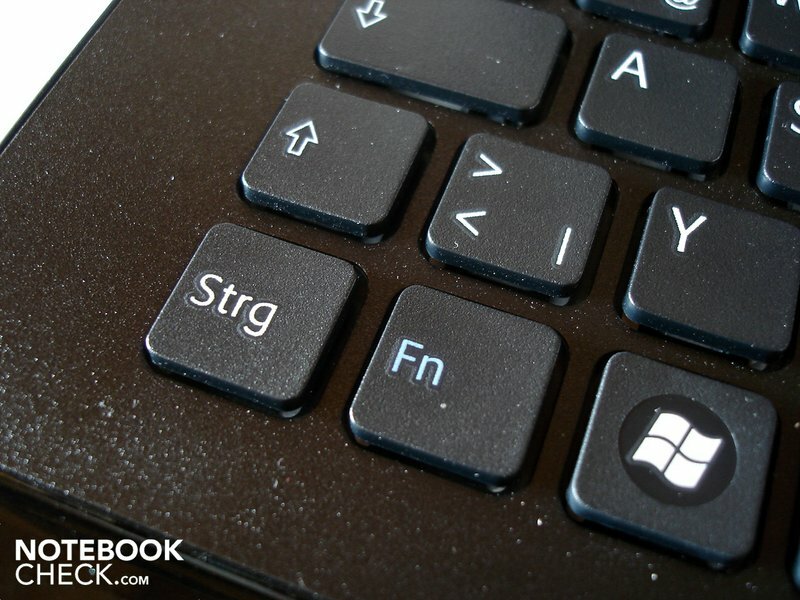 You can at least enjoy Starcraft 2 adequately in medium details on the Vaio VPC-EF2S1E/BI. We determined 36.0 fps in a resolution of 1366x768. In return, when the details are turned to high, frequent jitters occur. 24.3 fps are located at the lower end of playability. Starcraft 2 has a 15% higher performance on the TravelMate 7740G with 28.0 fps. Basically, the Radeon HD 5650 is a strong, midrange graphics card, which often manages well in current games even in high details (when medium resolutions are used). The Vaio VPC-EF2S1E/BI can't keep up with comparable devices, such as the Acer TravelMate 7740G, because Sony uses a relatively weak processor and a throttled Radeon HD 5650 alternative. The Radeon HD 5650 simply doesn't use its full potential. Thus, it is only enough for medium details in demanding tracks. 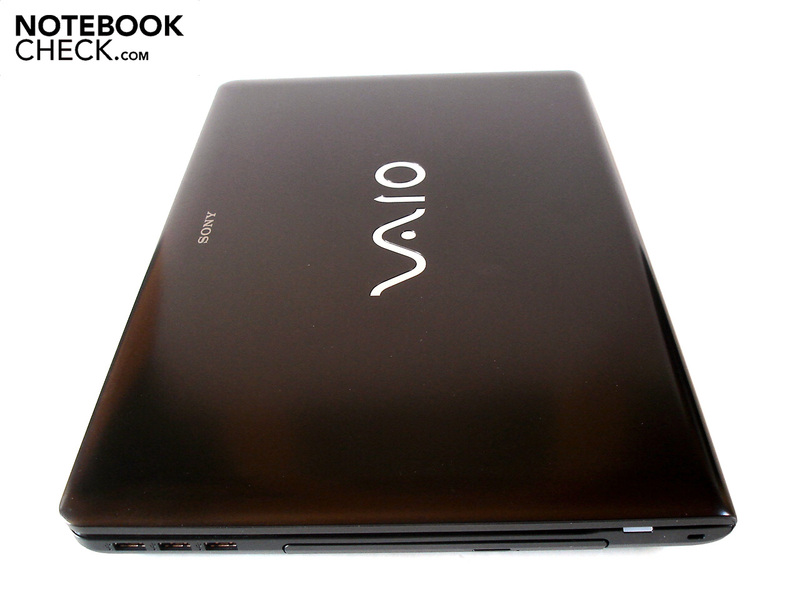 Overall, the Vaio VPC-EF2S1E/BI is rather suitable for casual gamers who want a notebook primarily for other purposes. 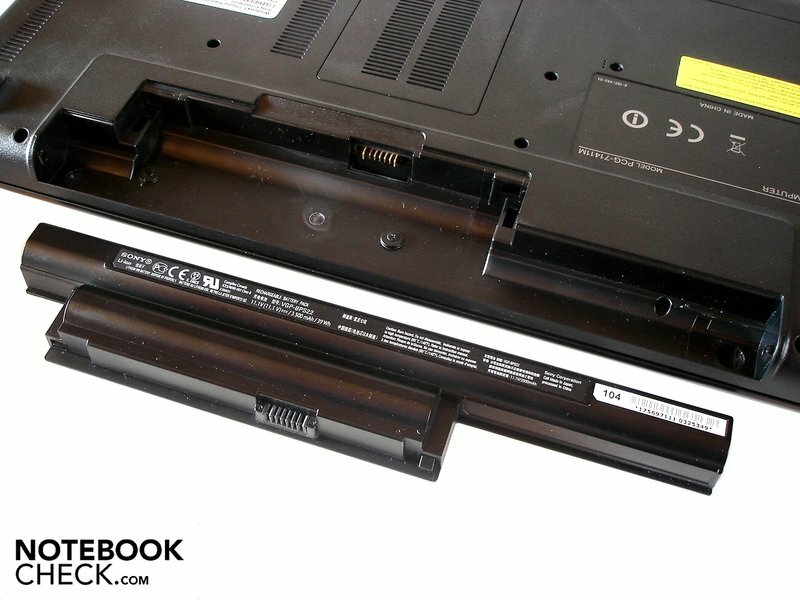 The fairly low noise development is one of the Vaio VPC-EF2S1E/BI's strengths. The case's fan is only slightly audible when surfing on the internet or writing a text document. Except for an occasional clack, the hard disk is just as quiet. The notebook attracts more attention under load, but the soundscape can't yet be described as (disturbingly) loud. Merely the optical drive whirrs along quite unpleasantly during data accessing. But the drive's noise settles to a reasonable level during DVD rendering. In order to bring the components to their limits, we put the Vaio VPC-EF2S1E/BI und full load for several hours with the Prime and Furmark tools. Whilst the graphics card heated up to 68°C, the processor heated up to a maximum of 74°C. They are both fully harmless rates. The temperature development in idle mode is also convincing. CPU and GPU are located by about 40°C. A positive verdict can at least be issued for the surface temperatures in idle mode. 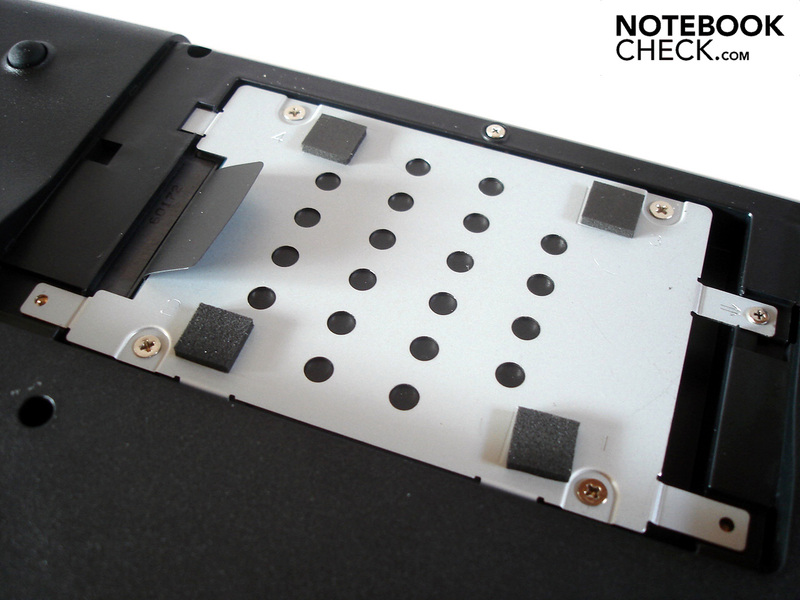 The notebook stays fairly cool on the entire surface with a maximum of 32.3°C on the upper side and a maximum of 33.0°C on the bottom. The bottom side heats up moderately to 36.3°C under load, whereas the upper side reaches up to 37.8°C. The wrist-rest stays within an acceptable range of up to 32.5°C, also under load. (+) The maximum temperature on the upper side is 37.8 °C / 100 F, compared to the average of 36.5 °C / 98 F, ranging from 21.1 to 71 °C for the class Multimedia. (-) The average temperature of the palmrest area of similar devices was 29.1 °C / 84.4 F (-3.4 °C / -6.1 F). 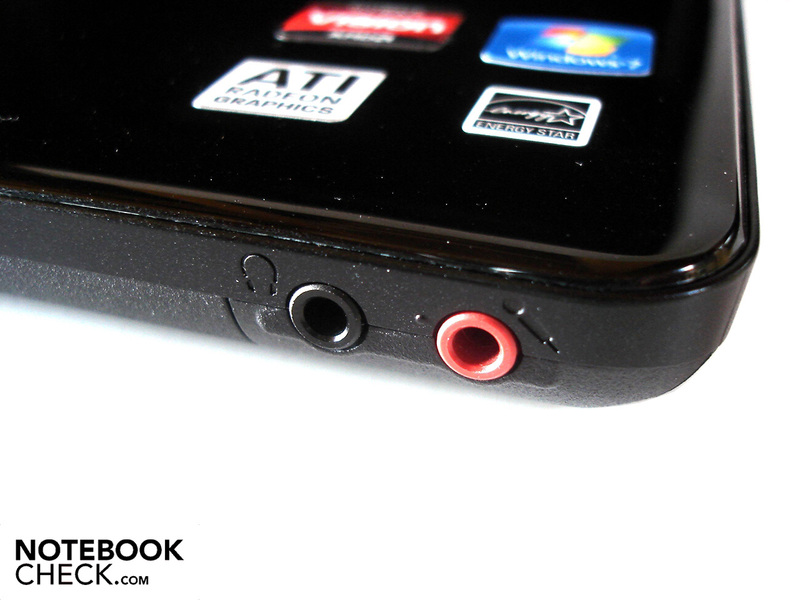 The sound quality of both loudspeakers, located above the keyboard, is very limited and is on about the (moderate) level of an average multimedia notebook. Because there is no subwoofer, the bass only appears reserved. It lacks volume. All pitches are rendered quite dull and imprecise. Additionally, annoying noises (humming and static) can turn up under too much load. The maximum volume could also be a bit higher, but is still by and large alright. We would generally recommend the use of an external sound system due to the numerous drawbacks. Even inexpensive stereo systems starting at 20 euro can serve with a better sound. 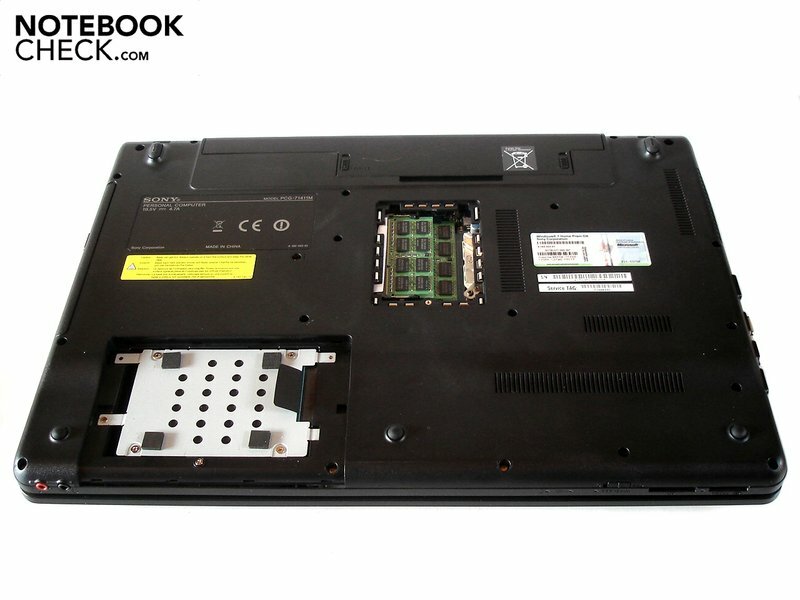 If you have a high mobility claim on a notebook, you'll be quite disappointed by the VPC-EF2S1E/BI. 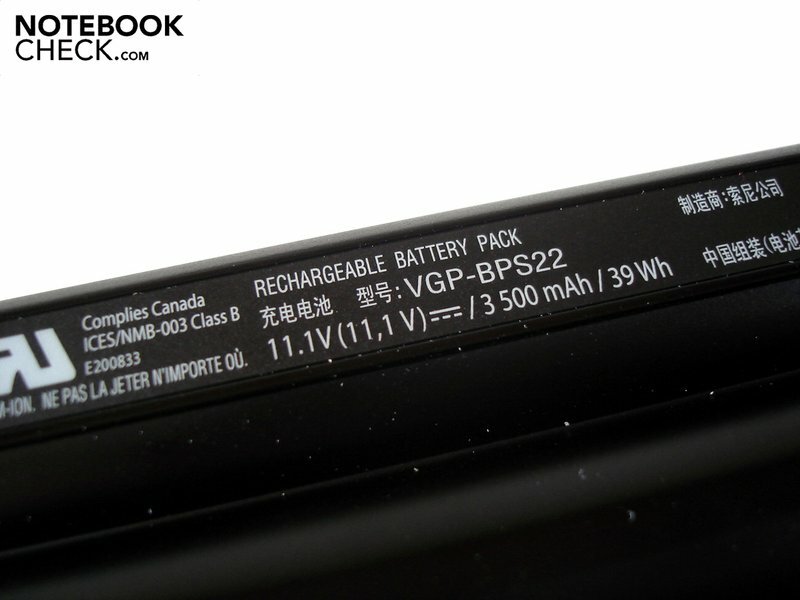 Because the included six cell battery only has a capacity of 39 wh. the battery runtimes are very modest. When the notebook is put under extreme load (BatteryEater's Classic Test), it's already drained after 44 minutes with maximum brightness and disabled energy options. 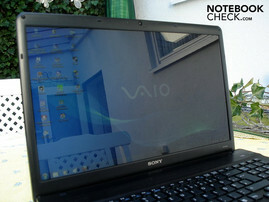 This is a result that we usually know from powerful gaming notebooks. If you use medium energy saving options, the DVD runtime increases to a still meager one hour and 20 minutes. The one or other episode of your favorite series is thus not an issue. But most movies are taboo in view of such a runtime. The display also turns black after not even two hours of WLAN surfing. 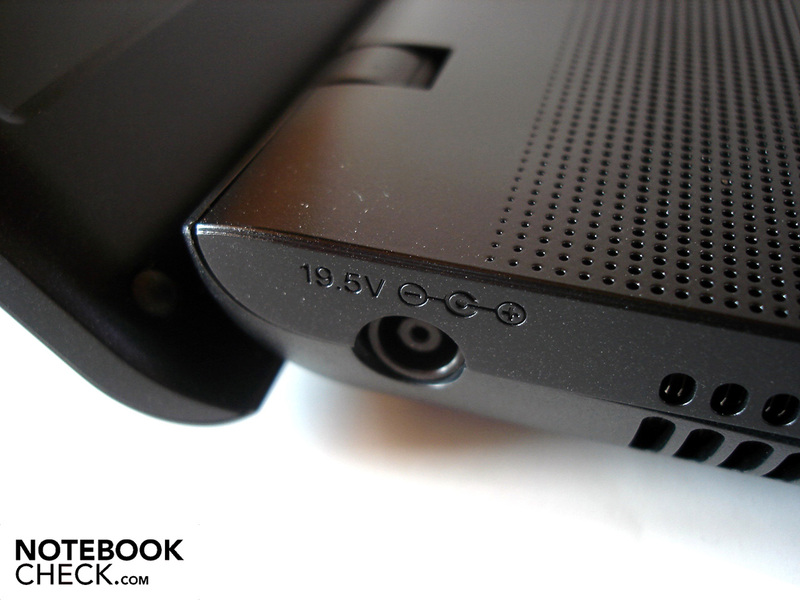 The 17 incher can first close in on three hours when the brightness is reduced to a minimum and maximum energy saving options are used under low load (BatteryEater Reader's Test). 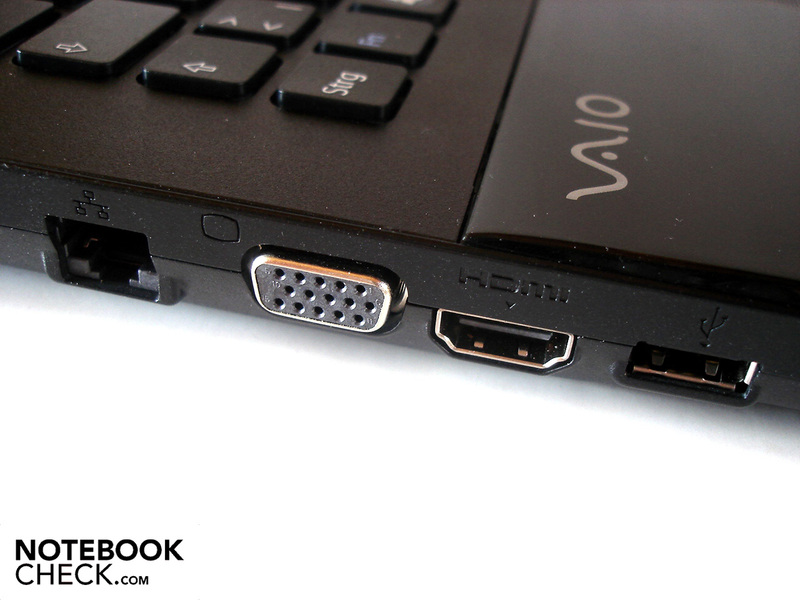 The Vaio VPC-EF2S1E/BI doesn't have to hide in terms of power consumption. 19.9 - 27.3 watts in idle mode and 53.5 - 67.1 watts under load are typical for a multimedia notebook. It's very close to the consumption of the 17 inch Toshiba Satellite L670D, which is also equipped with a Phenom II P820 and a Radeon HD 5650. 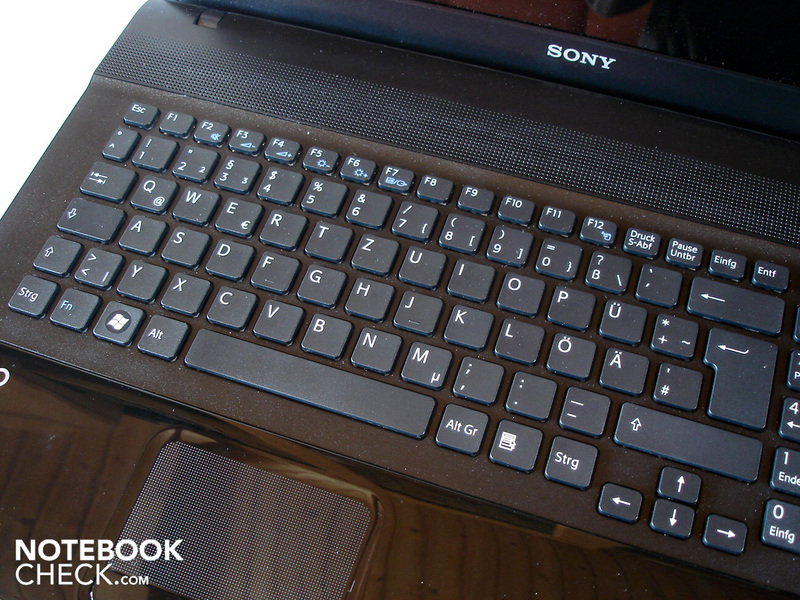 If you consider all aspects, Sony has principally created a good multimedia notebook with the VPC-EF2S1E/BI. The 17 incher especially deserves praise for its perfectly manufactured case, which not only can score with its elegant design. It is also quite resistant at the same time, due to its mainly matt surface. The very good keyboard, alike the fairly low system noise could also impress us. Nevertheless, there are a few points on the negative side, which affect the total rating considerably. This would primarily be the display's poor brightness and contrast, which has a high susceptibility for reflections on the one hand. On the other, it is annoying with its extreme dependency of viewing angles. Moreover, a lot more would have been possible in terms of performance. AMD's Phenom II X3 can't even come close to comparable Intel processors, like the Core i5-430M, despite three CPU cores. Unfortunately, Sony additionally throttles the graphics card, which goes to the expense of additional fps in games. In short: If you put a lot of value on good looks and good input devices, you'll probably take a liking to the Vaio VPC-EF2S1E/BI. On the other hand, if a long battery life and/or high performance is important, you should take a look around at the competition. A chic "VAIO" label embellishes the display lid. The layout can be seen as feasible. Overall, the keyboard makes a good impression. The high-gloss wrist-rest is rather sensitive. The power supply is on the left side. The fan noise hardly reaps reproach. RJ-45 Gigabit-LAN, VGA, HDMI and USB 2.0. The front accommodates even two cardreaders. WLAN and Bluetooth are dis- and enabled via slider. The audio sockets' location is rather a matter of taste. There are three USB 2.0 ports on the right. A standard DVD burner serves as optical drive. A Kensington Lock finishes off the configuration. The arrow keys could have been a bit bigger. 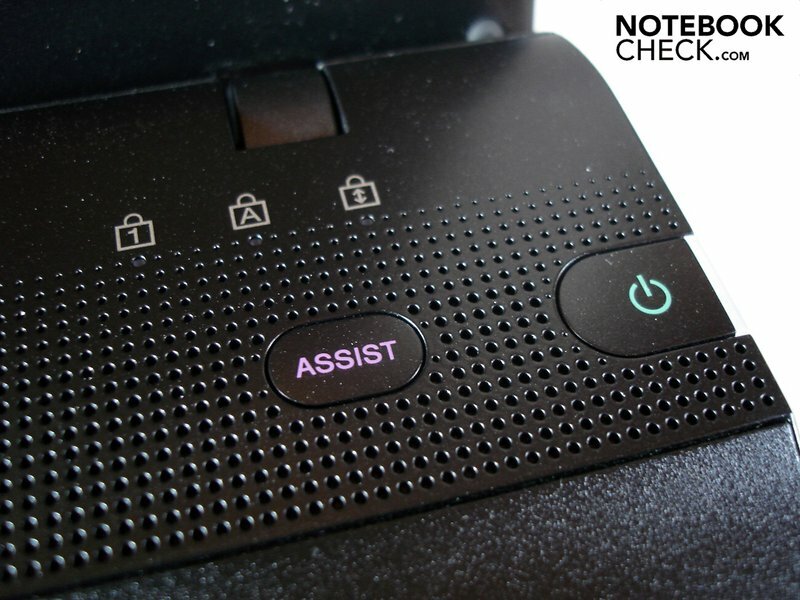 The "Assist" button starts a recovery and maintenance program. Processor and graphics card come from AMD/ATI. The 17 inch case is dominated by dark colors. The notebook can still be carried around acceptably with a weight of almost 3 kg. The maximum opening angle of about 135° is alright. 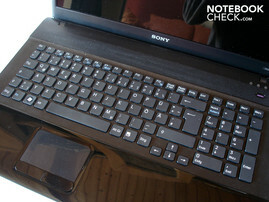 Sony has waived on a high-gloss surface for the display lid. Two covers can be removed from the case's bottom. Merely the RAM and hard disk can be accessed. The 500 GB sized HDD runs with 5400 rpm. A four GB DDR3 RAM is now almost standard configuration. The long battery reserves almost the entire rear for itself. The battery runtimes are rather moderate due to 39 wh. The webcam only has a resolution of 0.3 megapixels. Several Sony logos adorn the case. The 90 watt adapter is surprisingly small. Sony is an expert in matters of elegant case design. A brighter and contrast richer display with better viewing angles. AMD´s Phenom II X3 P820 kann nicht mit Intel´s aktuellen Core iX-Prozessoren mithalten. 17 inch multimedia notebooks, like Samsung's R780, Acer's Aspire 7551G, Acer's TravelMate 7740G, Toshiba's Satellite L670D or Dell's Studio 1749.